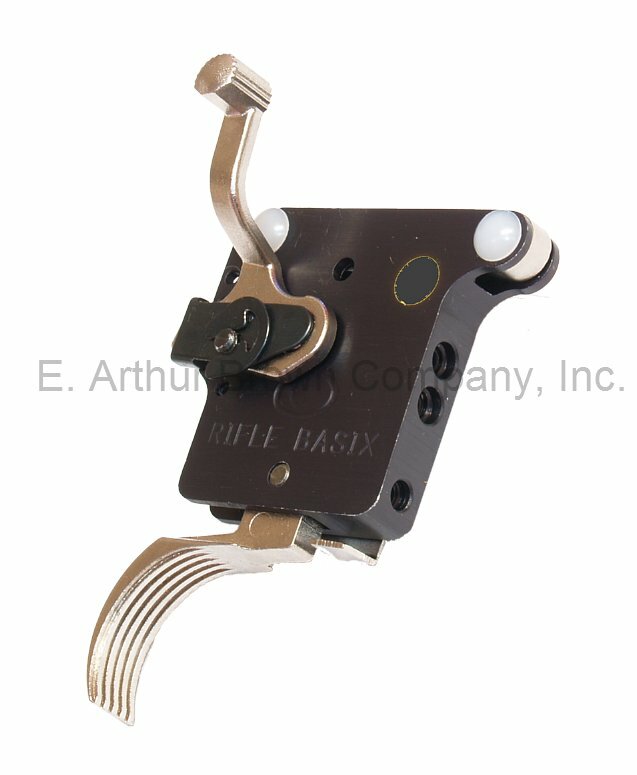 Rifle Basix ERV-3K Varmint/Target Trigger for Remington 700, 721, 40x, etc. 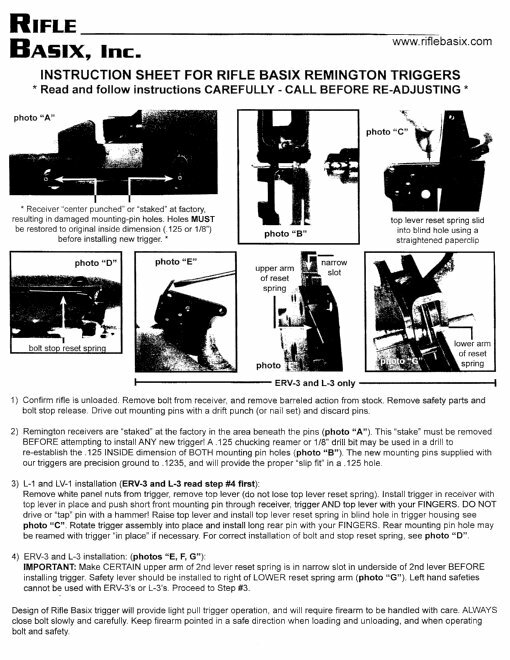 - Varmint/Target (bench rest) Grade replacement Trigger includes a new safety and bolt stop release. Adjusts from 4 oz. to 20 oz and fits Remington 700, 721, 40X, etc. Rifle Basix after-market triggers feature state of the art CNC machined housings made from T6 6061 billet aluminum and are black anodized for a factory appearance. All internal levers are investment cast from A-2 tool steel, CNC machined and heat treated for excellent wear characteristics. 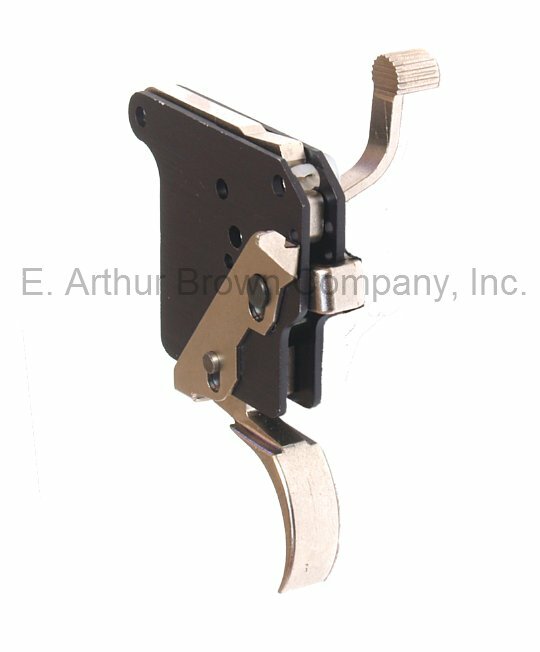 The levers are then electroless nickel plated for smooth operation and a bright appearance. Internals are Mated, Aligned, Adjusted, and Tested. Adjustable Pull Weight: 4 oz. - 20 oz. Factory pre-adjusted to break at 5-7 oz. (*provided there has been no modifications).